Will you merge with technology or be left behind? Cochlear implants, full face transplants, and prosthetics are used widely in the medical field. Statins, antibiotics and metformin are regularly taken people by people with ailments to increase their lifespans. It is our uses of these devices and therapeutics that make us all transhuman already. Transhumanism is the idea of transcending the limitations of human biology through science and tech to become more intelligent, eliminate disease, and live longer and potentially forever. 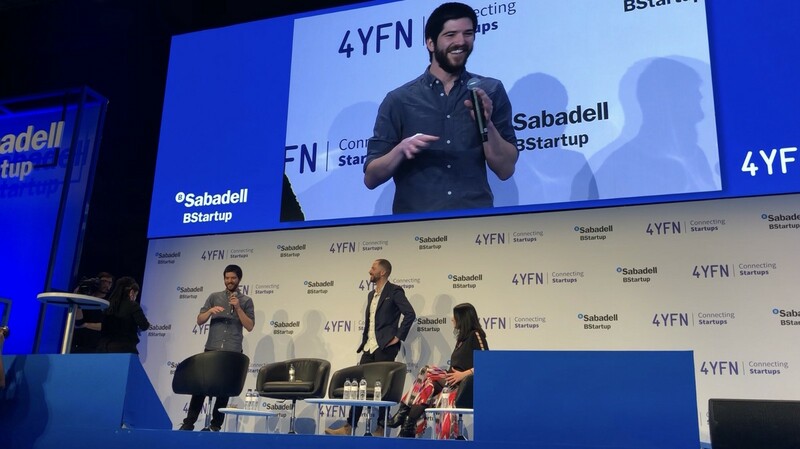 We are at MWC in Barcelona, the world’s largest mobile tech conference, and it’s side event for startup tech called 4YFN. Edgar Pons Forn looks nervous as he takes his seat on stage. A live on-stage demonstration of human chip being implanted is about to happen. Edgar is the brave volunteer who will soon have an RFID chip implanted in his hand. The chip is the size of a grain of rice and will be inserted by an experienced body modification practitioner. As the body modification practitioner puts on their gloves and sterilises the equipment and area of the Edgar’s hand where the implant will sit, we know the implanting is about to begin. Edgar closes his eyes and says what everyone in the audience is thinking, “I’m nervous”. Finally the implanting starts as the camera pans over and zooms right in. The implanting device and chip looks massive on camera but is actually tiny on a real life scale. We expect blood, but there is none or so little that it is hard to see it on camera. Then it’s over. The entire procedure ending as quickly as it started. While Edgar recovers from the shock and bright lights of the stage shining in his eyes, another man takes the stage. This man already has a pre-programmed chip implant and he is about to demonstrate how he can make a tokenised bank payment with that chip. 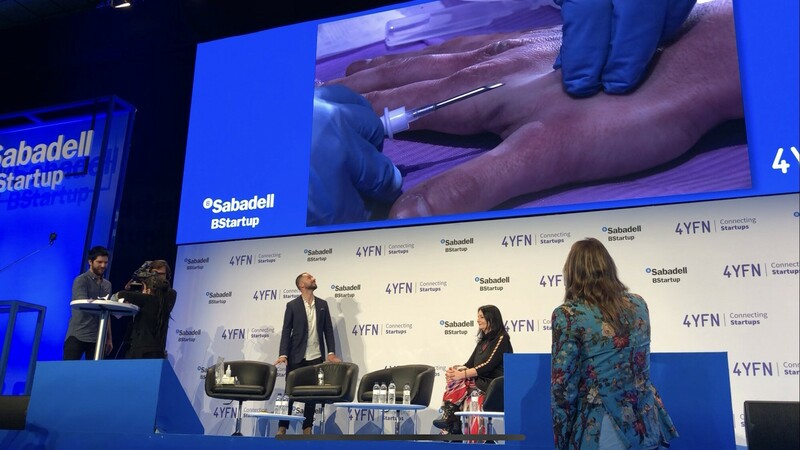 For this, they partnered up with Spanish bank, Banco Sabadell, to show how waving his hand over a chip reader can enable a payment from one person to another or from a customer to a shopkeeper. The following day, a panel discussion occurred on the topic of transhumanism and potentially living forever if you’re under 50. Transhumanism, which has been the domain of the emerging tech literate and elite, has entered the tech mainstream. Across the world there are now large and active transhumanist communities, including Transhumanism Australia, a tech community and think tank which has been operating for the last 4 years. 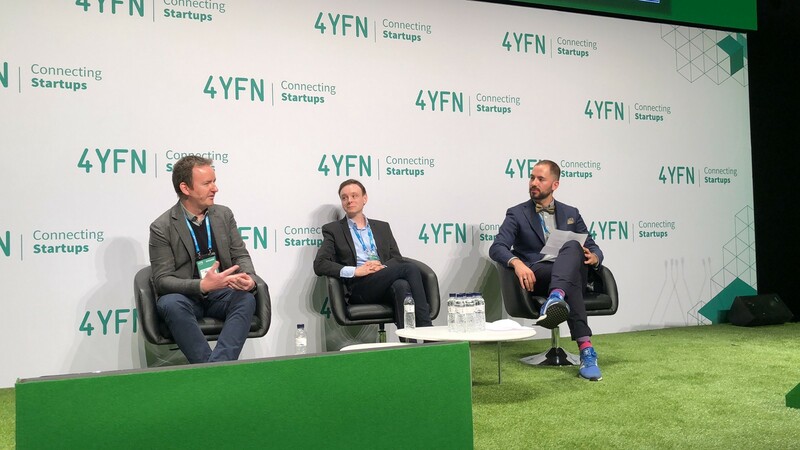 On the panel, were Stephen Dunne, Digital Therapeutics at Alpha, the R&D lab established by Spanish telecoms giant Telefonica, and Ben Murnane, PhD and author of Ayn Rand and the Posthuman: the Mind-Made Future, which is on humans merging with tech. Murnane is working on his next book with Zoltan Istvan, America’s first Transhumanist presidential candidate. 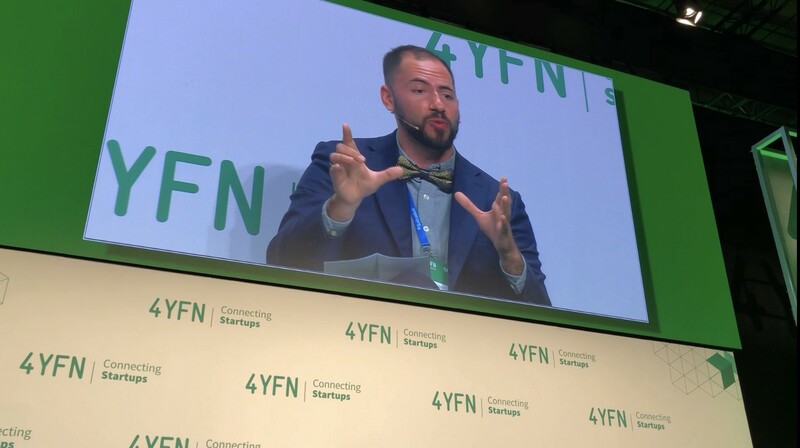 The panel was moderated by Alex Rodriguez Vitello, an aerospace engineer and member of the Global Futures Council of the World Economic Forum. The panel discussion centred around neuroscience, the influence of science fiction on scientific research, and technologies that are enabling transhumanism. Rodriguez Vitello brought us through the several exciting technologies that are helping humans enhance and extend their abilities. These include life extension technologies such as Aubrey de Grey’s research from the SENS Foundation where his team has found a way to extend the life of mice by 3 times, which is about 300 human years. It is not just life extension but also disease elimination. One development that has been exciting the biotech world is gene editing using CRISPR-Cas9, which could potentially be used to eliminated cancer, multiple sclerosis and other serious diseases. Technologies to regain or enhance our senses are also being developed. North Sense is a chip that is implanted on a person’s chest, it vibrates when that person is facing true north. While a person called Moon Ribas has an implant that can sense seismic activity from geological monitors. Implants or devices like these could also be helpful to comprehend or feel other people’s experiences and emotions. Freezing your body through cryonics in the hope that you can be defrosted later on when they have technologies to eliminate any disease you have is also gaining more prominence. For the princely sum of $200,000 you can freeze your entire body or for $80,000 you can just freeze your brain through a company called Alcor. There are several other companies which offer these services. For those that are familiar with the Black Mirror TV series episode on bringing back a person from the dead through creating a digital version of that person based on their social media posts, and voice and video recordings, may be interested to know that Ray Kurzweil is attempting to do this in real life. Ray Kurzweil, who has radically advanced the fields of speech, text and audio artificial intelligence and is currently a Director of AI at Google, plans to reproduce a digital version of his father by creating a brain in silico, essentially creating a computer brain of a person. In future, it is hoped we would also be able to upload our entire brain and consciousness directly to a computer. Enhancing the capabilities of our brain is also a focus such as extending memory capacity through Kernal, a brain implant, or using transcranial direct stimulation through electrodes on the brain to stimulate neural activity for certain tasks and activities and improving neural plasticity to help us learn faster. But not all methods are invasive. Ketogenic diets, intermittent fasting, and caloric restriction are other ways people are trying to enhance themselves and live longer and healthier. Dunne talked about his field of work in applied neuroscience, brain computer interfaces and, brain stimulation, which is sending signals into the brain. He says he is most excited about what happens when interfaces disappear when you merge with the technology such as through implants, and interfaces that are so well designed you just don’t notice them. However Dunne does not believe recreating digital versions of ourselves and uploading our brains to a computer will be possible in our lifetime as he says we are too far from understanding the brain to do what Ray Kurzweil wants to achieve. Dunne states we still don’t know how consciousnesses is generated and what consciousness is outside of philosophy. The only way we could currently recreate a computer brain would be to vastly simplify the model by ignoring the hippocampus and other integral parts of our brain that give us human intelligence. Brain stimulation such as enhancing mathematical ability for people with dyslexia is promising says Dunne. However he points out that if we enhance one feature in our brain, we need to take computing power from somewhere else. For example, learning braille is hard if you are not visually impaired, as your visual cortex is already being used. On the other hand, Murnane is most excited about a field of research called quantum archaeology, enabled by quantum computing, where if we know enough about how to reconstruct the universe, we can reconstruct particular points in time and bring back human beings and their memories. Murnane also talked about the need for more positive representations of transhumanism in film and media, stating that a lot of archetypes of science fiction are negative and that Frankenstein, Terminator, Ex Machina all negatively impact public perception on scientific developments. Meanwhile Edgar seems to have recovered from the shock of getting a chip implanted in his hand. He can look forward to going wallet and key free as he programs his chip to unlock his house, get into his office, swipe into his gym, and pay for his groceries at the supermarket. Edgar joins thousands of people across Europe, especially Sweden where chipping has been used since 2015, who are are having chipping parties which are gatherings where people get together to socialise and get microchipped. Often these parties are organised by large tech companies. Welcome to the future, where we already transhuman and microchipped. Will you merge with technology or be left behind? I write about AI and transhumanism. Follow me on Medium if you’re also trying to make sense of a world impacted by emerging technologies.